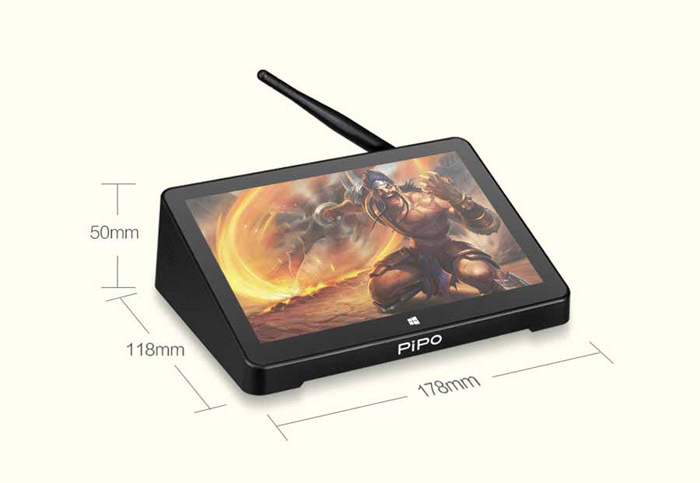 PiPo X8 is a mini PC with a 7 inch touch screen. 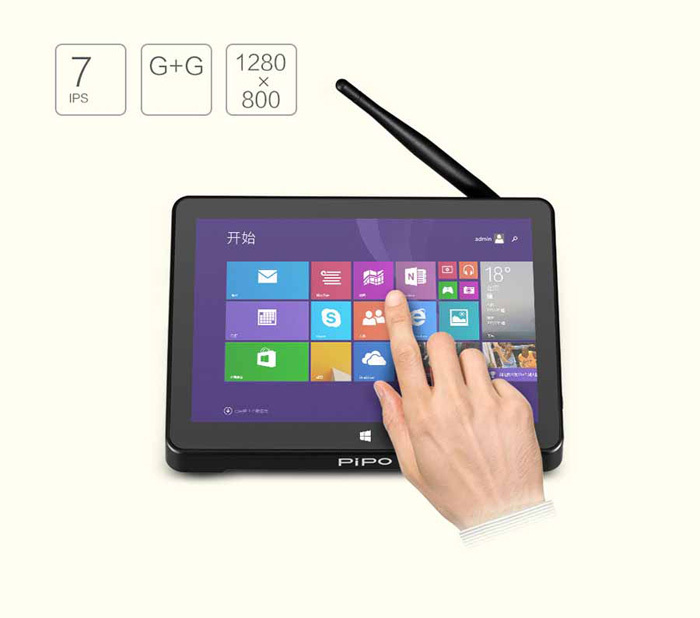 It uses Intel 3736Fquad core CPU, builds in 2GB RAM and 32GB ROM. 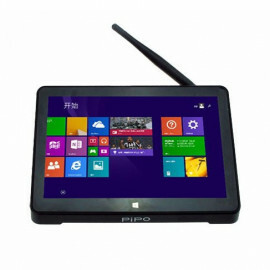 PiPo X8 supports Windows 8.1 and Android 4.0 dual OS, supports bluetooth 4.0, wifi, HDMI etc. Video Formats: 1080P, MEPG 1/2/4, H.263/H.264, RMVB, WMV/VC-1, MVC, AVS, MJPEG.